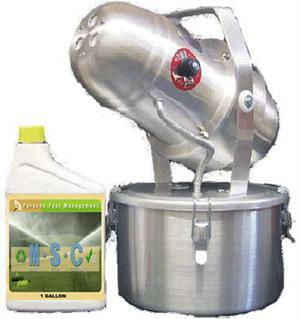 Control flying insects and other pests that inhabit your yard or structures. 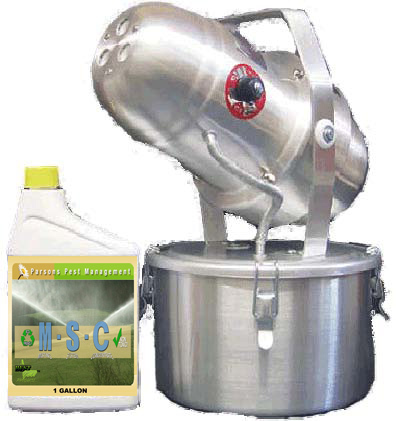 The cedarcide fogger is available with or without a bottle of misting solution concentrate (MSC). Enough for eight 1 gallon refills, or several hours of continuous indoor or outdoor fogging. The adjustable VMD (droplet size) allows for wet or dry fog applications inside or out in the open air conditions. A must for any houshold that is subject to biting or crawling insects. Not for use in homes with lenoleum flooring. the ultimate in arthropod and snake control!